Weigh your options and think about your needs before buying a new garden hose. A hose is a hose is a hose, right? Not so fast—not all garden hoses are created equal, so before you spring for a new one, let’s review your options. Hoses vary by length, diameter, and material. Lengths typically come in multiples of 25 feet. Make sure you’re buying a hose that’s long enough for your needs, but not too long. 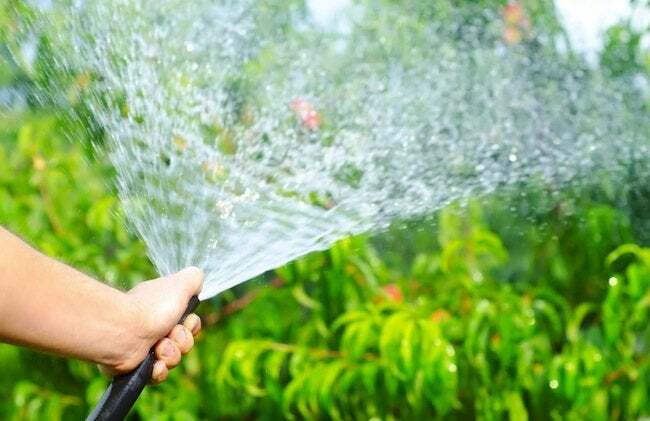 Remember: The longer the hose the heavier it will be, and the lower the water pressure it will have. Hose diameters usually range from half an inch to one inch, with 5/8″ and 3/4″ being the most common in the U.S. A wider hose will deliver more water, but even a half-inch hose is fine for basic watering duties. Materials are where hose quality really starts to vary. The least expensive option, vinyl, is lightweight and easy to handle. Vinyl-rubber composites are hardier but heavier. All-rubber and reinforced rubber hoses—the real commercial workhorses—are the most costly. Consider also the number of plies, or layers; hoses range from one ply to six. And don’t forget the couplings! Go for brass, not plastic. Cast brass is stronger than stamped brass and less likely to get bent. Look for a reinforced collar at the spigot end to cut down on kinks and leaks.